Have you noticed higher gas prices at the pump recently? Gas prices are rising and they are expected to continue their upward trend for a while. The following tips can help you save money and gas whether you are running around town or going on a road trip. The following tips can help you save money and gas whether you are running around town or going on a road trip. Use an app or website. Do you use the same gas station regularly? If so, you may be paying more than you need to. An app or website such as GasBuddy, AAA, Fuel Finder, and Gas Guru can help you find lower prices in your immediate area. But going too far out of your way may negate the savings. Use cash. Some stations offer a lower price for cash. The typical discount is 10 to 15 cents a gallon but some stations may offer as much as a dollar. 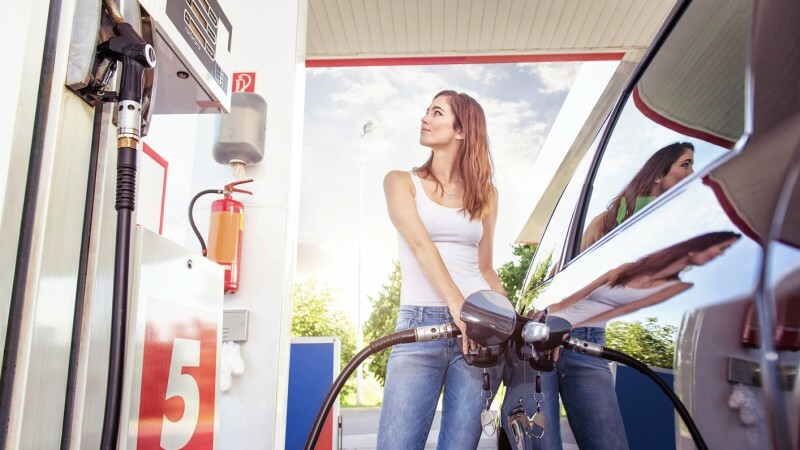 If you use a credit card, consider a rewards card that offers cash back on gas purchases. Use your loyalty card. Your supermarket loyalty card may offer a per gallon discount at certain gas stations. Some gasoline companies have their own loyalty program. You may want to take advantage of one if you regularly use that gasoline. Wholesale clubs typically have lower gas prices but may not be conveniently located. Plan ahead. Waiting until you have only a quarter of a tank or close to empty can cost you money when you choose the closest station. Rather than waiting, fill up when you find a lower price. Avoid carrying cargo on your roof. Carrying cargo on your roof increases wind resistance and lowers fuel economy. The impact depends on the size of the cargo and how fast you are going. The faster your speed the higher the impact. Remove a cargo carrier when it isn't needed. Check gas prices before a trip. You may want to check the gas prices along your planned route, especially if you a traveling through more than one state. Fill up in the lower priced areas or before you cross into a state with higher prices. For more tips, fuel economy benefits and gas savings, check out the gas mileage tips on the fueleconomy.gov site.